Local working artists around Philomath, Oregon open their studios for free, self-guided tours. Artists will discuss their processes and show work that may never have been on public display. A full spectrum of artistic mediums will be shown, including collage, painting, fiber art, jewelry, photography, ceramics, wood, sculpture, and many more. POST is a unique opportunity to visit with artists in their studios, see work in process, and discuss where they find ideas and inspiration. 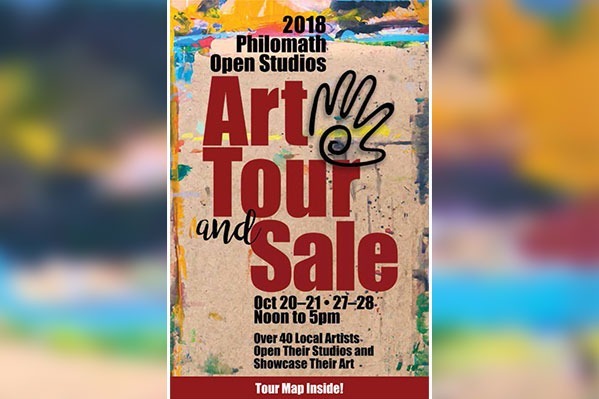 Philomath Open Studios usually happens on the last two weekends in October, or the last weekend in October and the first in November. Visit their website for details, tour maps, dates and hours. POST is a free event.